Spring showers are in full swing, but don’t let that affect your spring wardrobe! Today, I have styled an outfit I found at Topshop in New York that I was obsessed with for spring. Granted, it was freezing when I bought the outfit, but I knew it’d be perfect for warmer weather ahead. 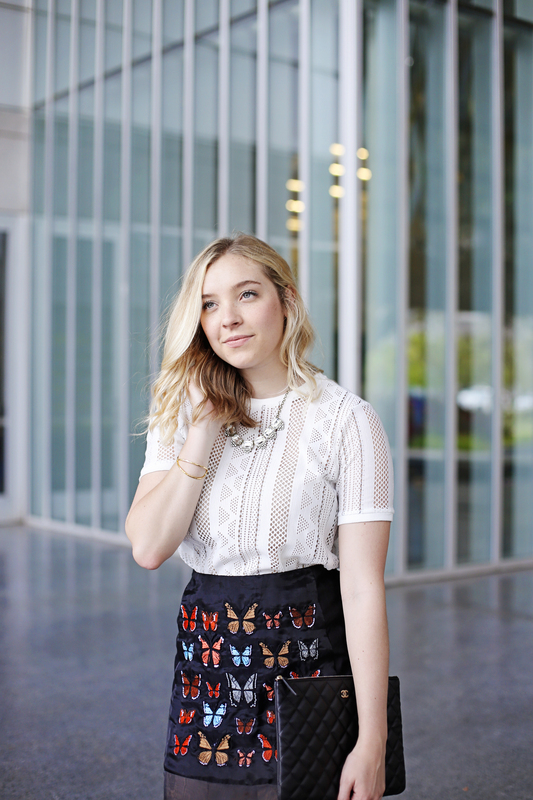 The bright butterflies make the black and white ensemble pop with color! 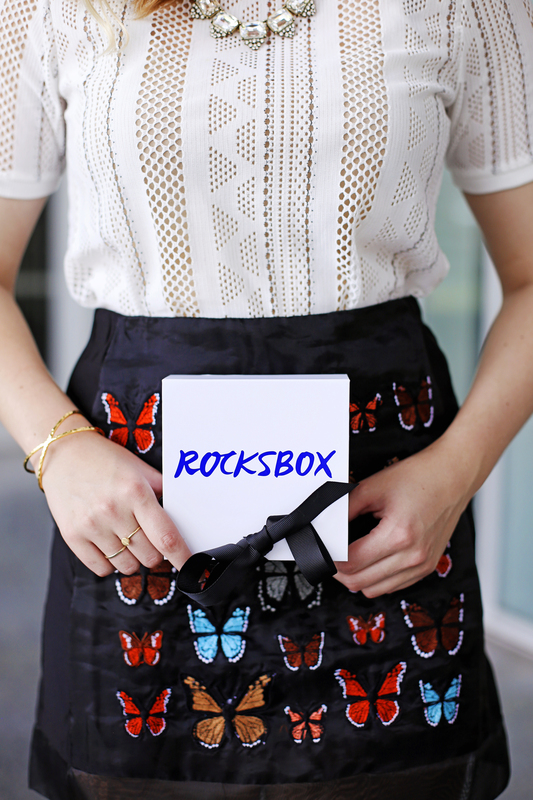 And my new Rocksbox jewelry add a nice touch to it!